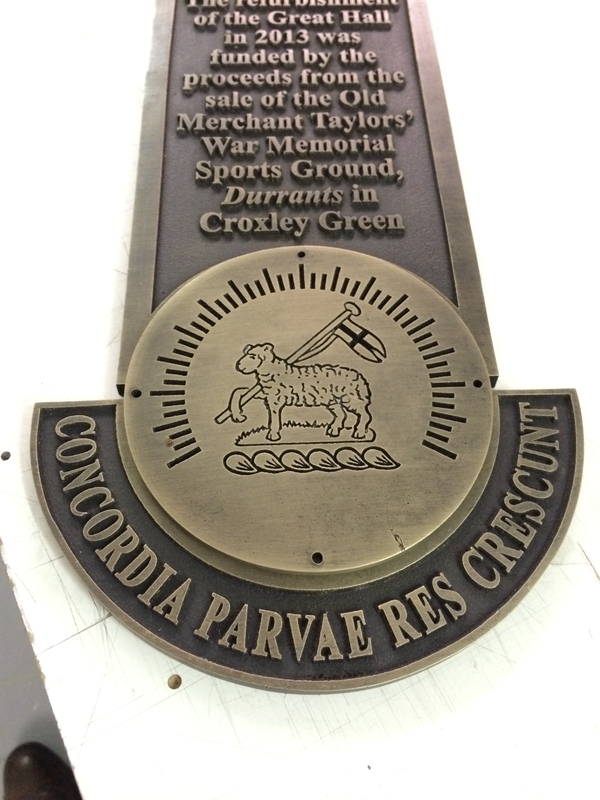 Cast Metal Commemorative Plaque for Merchant Taylors School. 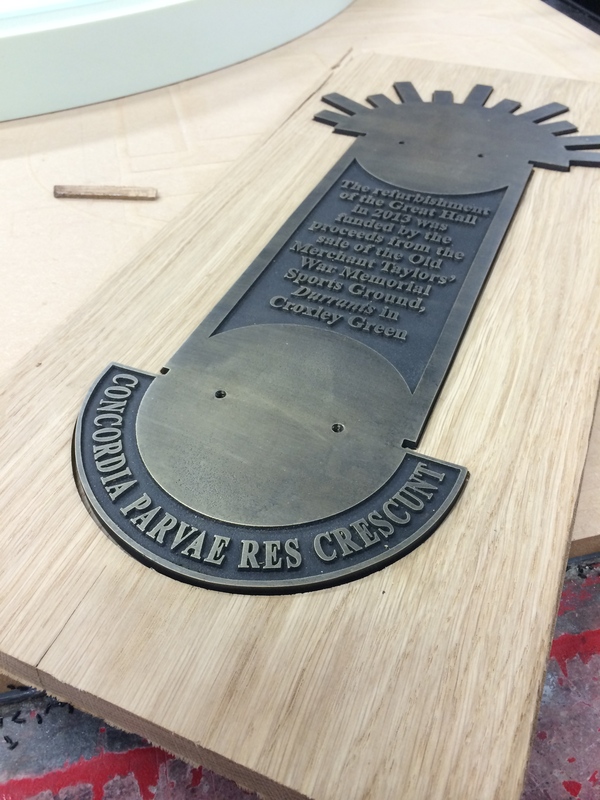 Merchant Taylors School approached us with a 2D design for a cast metal commemorative plaque. We created the 3D CAD file which was then used on our CNC machine to carve out a positive to cast from. Once a cast was created a metal foundry created the final cast metal plaque and a patina was later added by us to create an aged finish.